The grocery options at 4th Ave and Bay Ridge Ave are pretty poor. We have Sakman Grill & Gourmet (or whatever it might be called) which smells, or we have the Bay Ridge Marketplace at 6918 4th Ave on the block just south of Bay Ridge Ave. 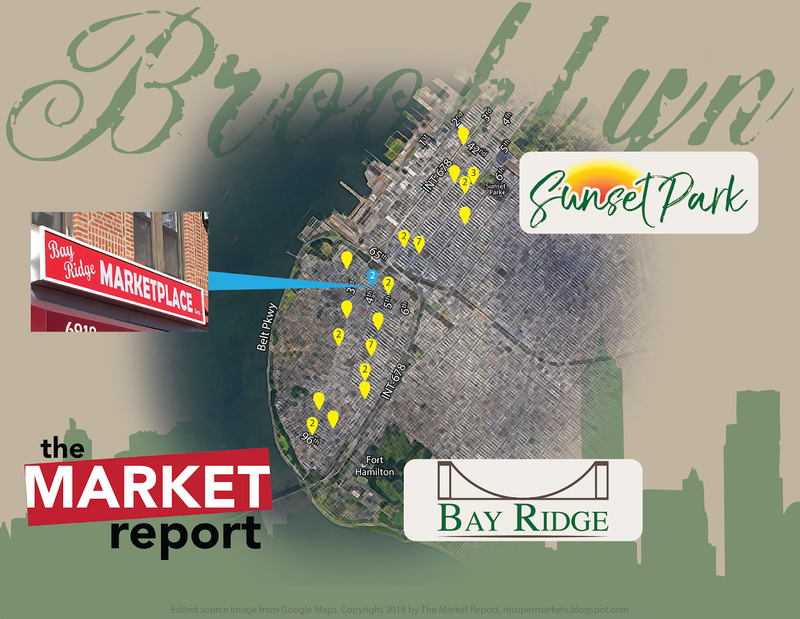 The Bay Ridge Marketplace replaced the longtime Bay Mart Supermarket, a beloved local shopping destination. You can't miss the clear vertical "MARKET" sign. So let's head in! Uh, so it turns out that, um, the store's actually out of business -- fully stocked -- and appears to have been for quite some time. Why all this fresh produce is still sitting out here, locked behind the canopy of the storefront, is beyond me. All of it is completely spoiled, and it's clearly been sitting here for many weeks. 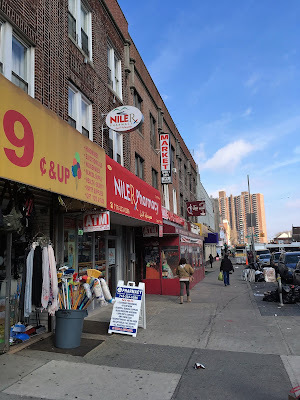 As of February 2018, at the time of my visit, the store was completely fully stocked but locked up tight and clearly had been for a long time. 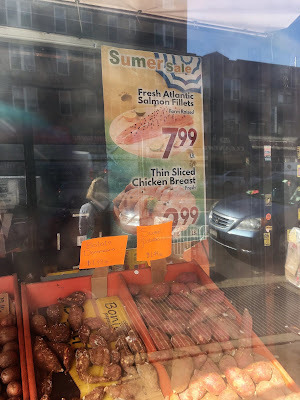 It seems that the last time this store was operational was the previous "sumer", although Google Maps shows the store in business in September 2017. By the time of the June 2018 street view, it was fully closed up with all the food removed.